Connie Johnson Hambley is a mainstream thriller author. 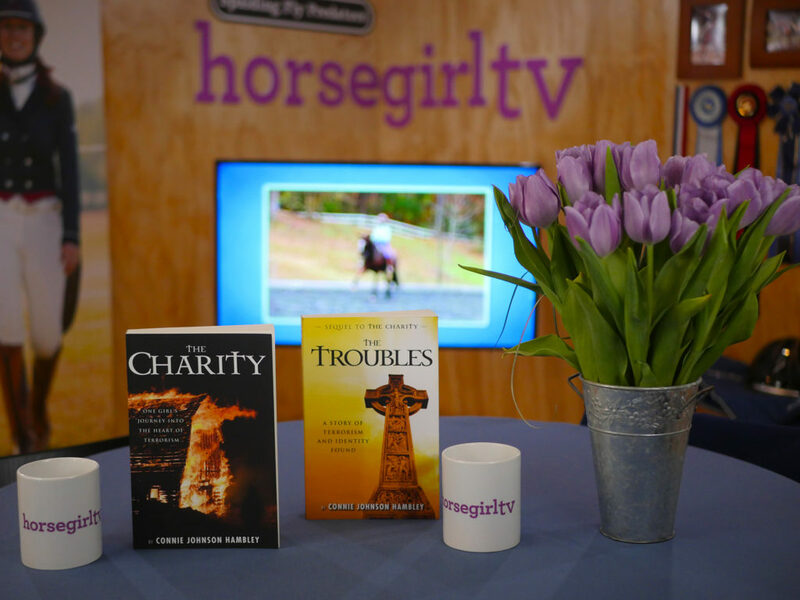 Angelea Kelly hosts award-winning author Connie Johnson Hambley, we answer more HorseGirl Mail, introduce a new segment Bits n Bytes (thanks Staller) + a fun HorseGirlTV Classic with the fabulous Ms. Jessica Burkhart! DRAG PROGRESS BAR TO 8:11 to start the actual show straight away. We had issues with the countdown graphic. You can watch new live episodes every other Tuesday at 3pm eastern on facebook.com/HorseGirlTV/ and, in addition, on VOD, video on demand, here! A giant shout out and thanks to the amazing easy to use biological fly control company, SpaldingFlyPredators.com! We’ve been using them at the farm since 2012 and they really work. No flies!